The firm behind plans to build Europe’s tallest observation wheel on Newcastle Quayside has revealed details of the project. 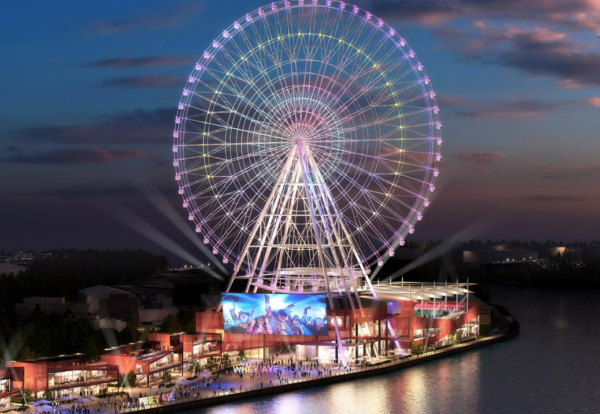 Standing nearly 140m high, the giant observation wheel – dubbed The Whey Aye in celebration of its location – will be 5m taller than the London Eye. Developer World Wheel Company said the project will see up to £100m invested in the city and up to 550 jobs created. Designed by architect Concept I, the wheel and associated buildings will be a destination food and drink experience for Newcastle called The Giant’s Quay. Visitors will be welcomed to the location by The Geordie Giant, a 12m tall, partially animated steel structure able to move its head and arms. The Geordie Giant will also act as a simplified timepiece, allowing visitors to tell the time to the nearest 15 minutes according to the position of its arms. On the hour, The Geordie Giant’s arms will either be by its side or raised above its head to make a circle representing The Whey Aye using both hands. Phase one of the development will include a 700 sq m LED digital screen on the facade of the visitor centre, at the base of The Whey Aye, which will be used to communicate information. 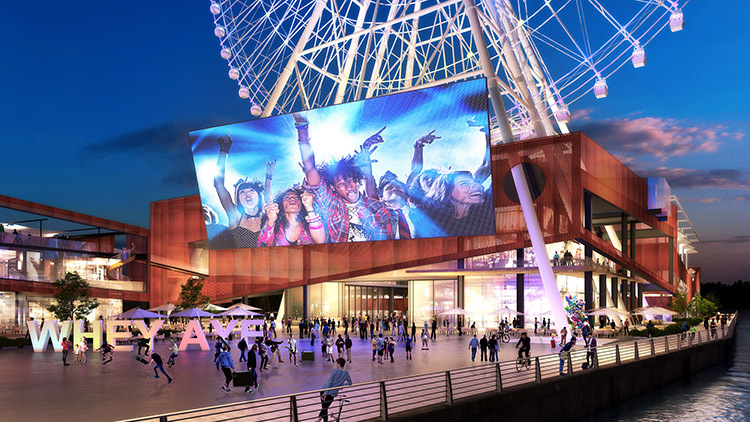 Phase two, subject to a media licence, will see a world-record breaking 11,960 sq yd (10,000 sq m) LED digital screen added to the wheel. The development will cover 344,500 sq ft (32,000 sq m) in total and will only take 18 to 24 months to build. A detailed planning application relating to the observation wheel and the Giants on the Quayside development is due to be submitted to Newcastle City Council by the developer later this year. 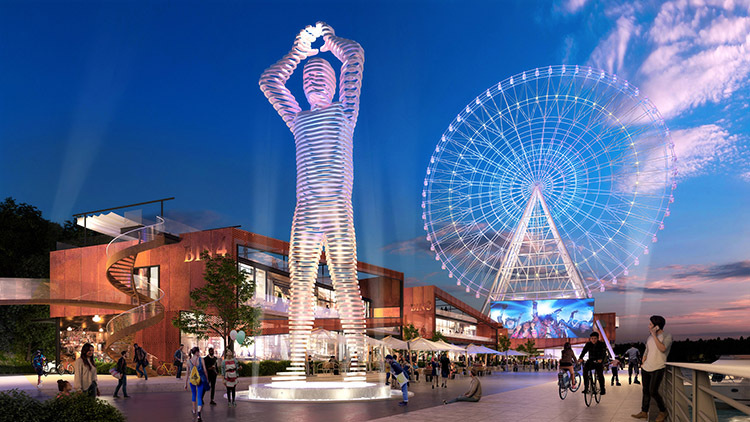 Phil Lynagh, chief executive officer of World Wheel Company’s Newcastle operation, said: “It gives us great pleasure to reveal these images and further details of the development to give people a deeper understanding of our vision for The Whey Aye and the Giants on the Quayside development. 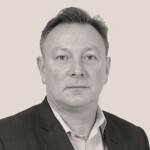 “We have had an overwhelmingly positive response to our plans so far and hope this latest announcement will whet people’s appetites even further.